The Bailey Company is proud to have one of the largest forklift truck rental fleets in the United States, with all classes of forklift trucks available. Whether you need a 3000lb. cushion electric or a 20,000lb. 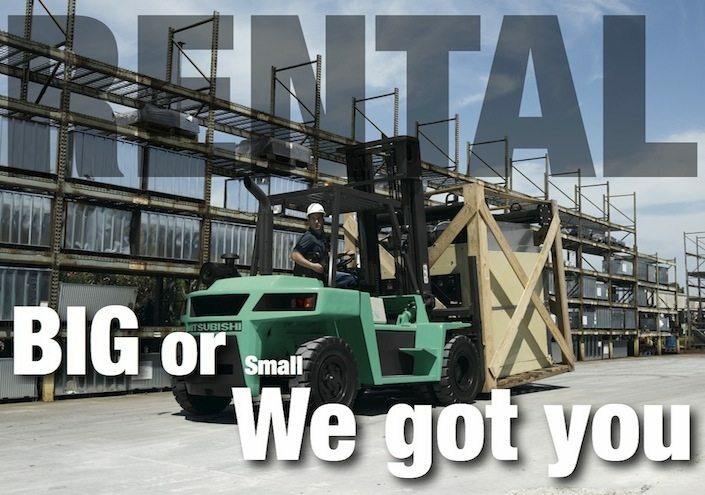 pneumatic – or even a scissor lift or boom lift – we have something in our rental fleet to suit your needs. The fleet includes Mitsubishi forklift trucks, Cat® lift trucks, Crown, Jungheinrich®, Hoist, and others. Due to our many branches interspersed throughout our region, we pride ourselves on the ability to fill rental needs in timely fashion. In order to fulfill your needs, we have a daily truck run between branches.